October has arrived and with it cold and damp weather that marks the onset of condensation season. Our selection of special offers has been enhanced with reductions on some of our newest and most popular anti-condensation products. Here is the first instalment of your handy two-part guide to our latest low prices, which offer between 9%-25% discounts on the RRP. 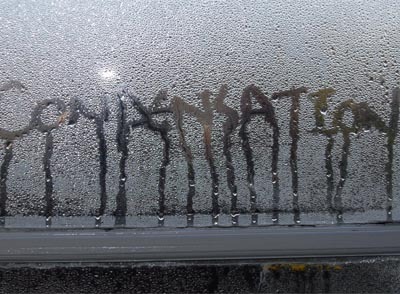 Condensation, caused by high humidity levels, is one of the most common causes of damp within buildings. 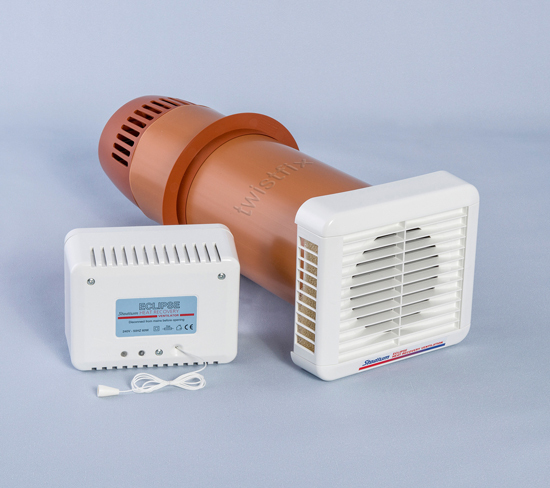 By accurately controlling these levels, the likelihood of condensation can be thus reduced - our Heat Recovery Unit Kit contains everything required to make sure the indoor air remains fresh and its water-vapour content is kept low. A conventional extractor is a single fan that draws out stale air. The Eclipse Stadium HRV, which comprises the heart of the kit, innovatively contains a pair of fans acting in unison; one fan is used to extract air while the second draws in fresh air from the outside. During this exchange of air, an incredibly-efficient heat exchanger recovers up to 80% of energy from the outgoing air, transferring it to the air incoming and maintaining a comfortable temperature while saving on energy costs. Each unit is built with a balanced-airflow capability, allowing it to be freely used in conjunction with conventional heating systems. Once installed and running continuously at trickle speed, the unit costs just 3p per day to operate and the remote humidistat included with the kit can be set to manual or automatic control. Also included with the kit is the necessary diamond-tip core bit set to allow for quick, clean and simple installation - this quality is particularly useful when installing in high-rise flats. 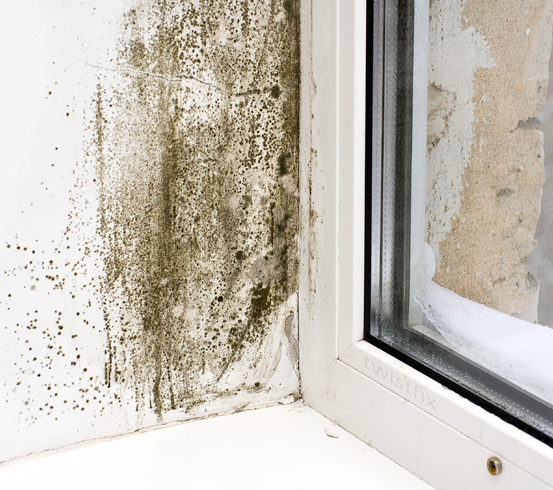 The growth of mould often accompanies damp, as the moist conditions make a perfect habitat. As well as being unsightly and damaging to the structure, mould has also been proven to have a range of negative health effects on human beings, particularly children and the elderly, including rashes and coughs to more serious pneumonia and internal bleeding. Clearly, any such mould should be swiftly and profes­si­onally removed as soon as it becomes apparent. 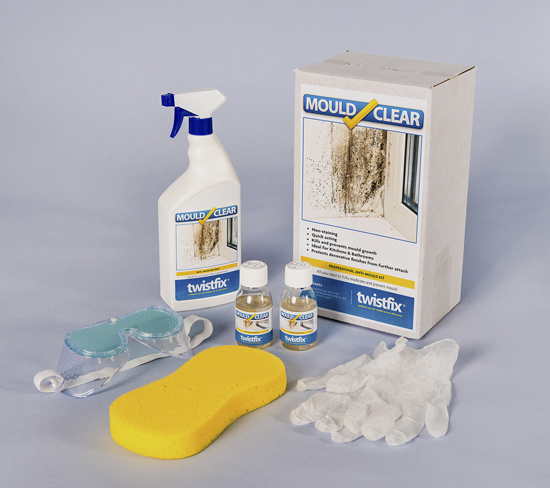 The Twistfix Mould Removal Kit, designed by industry experts, offers a safe and rapid yet powerful and effective way to completely eradicate toxic mould growth. Containing biocide spray to kill mould and fungicidal paint additive to prevent its regrowth, the kit also includes the goggles, gloves and sponge required for operator safety - this kit should only be used by professional builders. You can now buy the kit from Twistfix for just £35.94 inc. VAT, representing a massive 24% saving on its RRP. Check back soon or subscribe to our newsletter to find out more about our extended special offers! For more information on the damp proofing solutions available from Twistfix, please contact 0845 123 6006 or email sales@twistfix.co.uk.